I know that its super disappointing to get to the age where getting little toys and candies in your stocking is no longer acceptable. But that doesn't mean you can't still enjoy going through your stocking Christmas Morning. 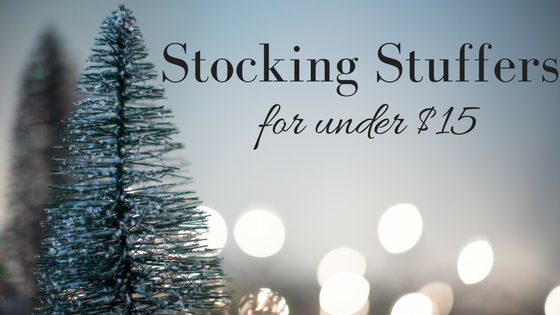 Or if you don't do stockings in your house anymore (which is a shame because its just presents!) these are great little gift ideas for friends or coworkers or if you're doing a secret santa this year. Socks: As someone who is constantly one sock lighter after doing laundry socks are the perfect stocking stuffer. Socks aren't something I think to put on my shopping lists so getting them as a little gift is great for me. And its Christmas so you don't need to be boring and get black or white socks get socks of something they love! I mean if anyone got me these socks I'd be super pumped! Lip Balm Set: Once again something I never buy for myself but always need. Especially in the Wintertime when my lips feel like alligator skin. And I am constantly loosing my lip balms before I finish then so getting a set helps them last longer lol. EOS is my favorite lip balm because it lasts awhile on my lips and they always feel so hydrated. Nail Polish: This time of year is my favorite time for nail polish! the bright reds, the dark blues (almost black is where its at! ), and the amazing glitter! I'm specifically in love with the silver color because that would be AMAZING for New Years Eve! Essie is my favorite nail polish because I feel like it lasts the longest so I'd rather spend a few bucks more for a better product! Gloves: If you live anywhere cold like I do then gloves are a must for surviving winter! I think these mitten/glove convertible combo thing is super cute! I like that you can pull the mitten back to use your phone or something without taking the glove all the way off. Bath Bombs: I mean what even is a gift guide without lush? Winter is when I wish I had a bath tub to soak in. 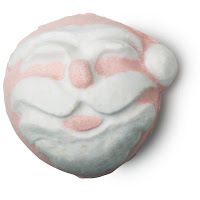 I love the santa bath bomb this time of year and I'm hoping this time next year I'll have a place with a bath tub to soak in! But, if any of you have a bath tub to soak in and have some bath loving friends you should def pick one of these up! Candle: I mean if you follow me on any social media or have read my Autumn Candle Edit than you know about my passion of all things candles this time of year. I specifically love Bath and Body works. They make some great candles and yes they can be pricey but they also have smaller candles that are a little more reasonably priced that would be great to stick in a stocking. 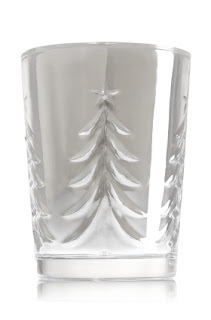 Their Winter candle is my favorite because I like cleaner, crisp scents and they truly capture the scent of christmas, I don't even know how they do it! So there you go! Those are my stocking stuffer ideas for 2016! At least these are what I'd like to receive so I'm assuming other 20-somethings would want these too! what do you want to receive in your stocking?